The Law Office of Zachary S. Rivenbark in Burgaw, North Carolina, offers area residents the opportunity to work with a well-prepared hometown attorney. The law firm handles a variety of legal practice areas, including criminal defense, family law, personal injury, medical malpractice, wrongful death and estate planning. Born and raised in Burgaw, lawyer Zachary S. Rivenbark is both passionate and well-prepared to deliver the caliber of legal counsel that clients expect. His commitment to clients' best interests is evident in all aspects of the people-focused law practice. 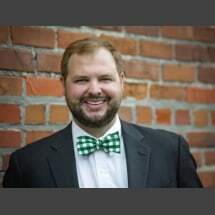 Mr. Rivenbark has built a local general practice firm on the foundation of a solid law school education as well as experience gained at a respected plaintiffs' law firm in Fayetteville. He now provides residents of Burgaw and the surrounding area reliable, efficient legal counsel to help them resolve vital legal issues. Mr. Rivenbark demonstrates his dedication to the community at large through service in the Rotary Club, the Boy Scouts of America and other area organizations. These activities as well as the law practice have one goal: to contribute to the well-being of family, friends and neighbors. Potential clients are welcome to contact the law firm about any legal concern. Schedule a consultation about a DUI/DWI arrest, a traffic violation, a divorce or other family law matter, a car accident or another personal injury, an emergency room error, a fatal accident, a real estate transaction or wills and trusts.